Considering living in my next vehicle and traveling around the country. I already enjoy sleeping in my Toyota Yaris. Mainly hoping for something that is compact since I don't enjoy driving large vehicles, safe, is generally reliable. 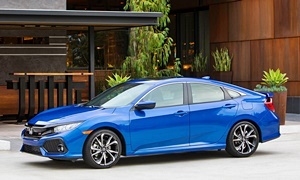 The Honda Civic is the best compact car on the market right now. You can get a fully loaded Touring model for around $26k. It has a lot of great features including heated front and rear seats, Apple CarPlay and Android Auto, and the Honda Sensing safety package. The car has adaptive cruise control, which is what you need if you will travel far. It takes the stress of driving off your shoulders and cruises at the set speed, follows the car in front of you, and brakes if the car in front of you slows down. It also has automatic emergency braking, which slams on the brakes if you are about to get into an accident. It is one of the best driving compact sedans and prioritizes both comfort and handling. 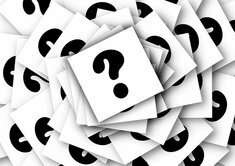 It is available in a sedan, hatchback, and coupe. 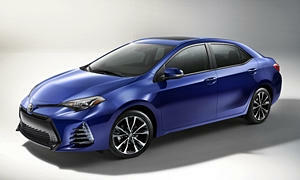 The Toyota Corolla will be the most reliable and practical choice. It wouldn't be the one I would pick, but it has some advantages over the Civic. The interior is very spacious and roomy and has a pretty quiet and smooth ride. It has a proven powertrain and will last to at least 250k miles with basic maintenance. It has very little steering feel and handles worse than a new Prius. If you care only about reliablility and interior space, buy this. I had a 2015 and 2017 loaner Corolla for 2 weeks. The safety features worked well. It was comfortable and had very good seats. The engine and CVT combination was terrible and resulted in constant engine drone. The handling was surprisingly bad for being an XSE, the sporty trim. The Chevy Cruze is one of the most comfortable compacts, but it has below average reliability. There have been several reports of dying engines and fires because of failing electrical systems. Safety features are only available in the top trims. I don't disagree with the above as the Chevy has a few more problems than the Civic and the Corolla mentioned. However others cars with even better gas mileage fit your description. 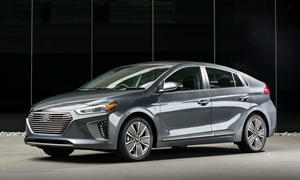 You can get a hybrid that is reliable and far more fuel efficent than the options mentioned. 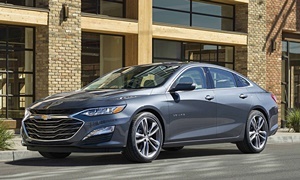 Some examples of reliable hybrids include the Toyota Prius, the Hyundai Ioniq hybrid, and the Chevy Malibu hybrid (average reliablity better than the Cruze). All three of these cars go over 40 mpg in all driving while the Civic and the Toyota mentioned cannot come all that close (the Malibu is the lowest of the three I mentioned at 44 mpg on average). Better yet - all three you can buy new for less than $30,000. Hyndai starts at under $23,000, Chevy starts at under $28,800, and the Toyota starts at $23,500. 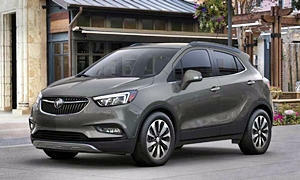 Might as well throw the Buick Encore in there. Our 2013 Encore Convience could see 39 mpg...with AWD. The FWD would see well into the 40' mpg if you kept the speeds around 65 mph. The base is middle $18-22K discounted. Lectrofuel and AcuraT had good suggestions above. I will throw a couple of outside the box suggestions. 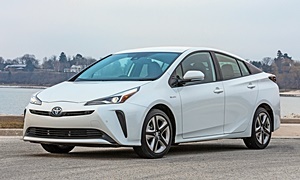 The Lexus CT200H hybrid shares the super reliable drivetrain with the 3rd generation Prius. The Prius has more space and slightly better mileage, but the CT200H is more fun to drive and has a much nicer interior, which is a good place to spend hours on the highway. The rear seats fold down so you can sleep, just like any other hatch. The Lexus wasn't a great deal new, but you can pick them up Certified Pre Owned for around $22k. Lexus CPO program includes unlimited mileage for two years. You can still find Certified Pre Owned VW diesel Sportwagen's or Golf's out there. These cars are very fun to drive - much more so than most hybrids - and return excellent mileage. As with newer Volkswagen's, they are pretty reliable, although I wouldn't put them in the same reliability catagory as the Japanese hybrids. Regardless of your selection, make sure you pay attention to total range, which factors fuel tank size and mileage. The Lexus above can go about 550+ miles on a tank of gas. The VW diesels are good for 600+ on the highway. My GTI as an example gets fairly good highway mileage at 35+, but has a small gas tank, so I have to refuel every 350 miles which is a pain on long road trips.